abbreviation for thrombotic thrombocytopenic purpura. An ADAMTSs family enzyme encoded by ADAMTS13 on chromosome 9q34, which is identical to vWFCP (von Willebrand factor-cleaving protease, the name by which it is more commonly known in haematology). ADAMTS13/vWFCP degrades large vWF multimers by cleaving monomeric subunits, the absence of which (due to mutations) causes thrombotic thrombocytopenic purpura. ADAMTS13 mRNA is expressed in liver, placenta, ovary, various other tissues, and in platelets. Purpura resulting from excess fibrinolytic activity of the blood. A rapidly progressing form of purpura occurring principally in children. It is of short duration and frequently fatal. People with ITP should take special precautions to avoid injuries in contact sports. Aspirin and other drugs that may cause bleeding should only be taken by people with ITP under direction of an experienced physician. Symptoms may include bleeding from the nose, the gums, or the gastrointestinal tract. Physical findings include petechiae, esp. on the lower extremities, and ecchymoses. Laboratory findings: The platelet count is usually less than 20,000/mm3, bleeding time is prolonged, and may be associated with mild anemia as a result of bleeding. If patients are asymptomatic (i.e., have no active bleeding) and have platelet counts of about 50,000/mm3, treatment is not needed (4 out of 5 patients recover without treatment). Treatment for symptomatic patients, or patients with very low platelet counts, usually is with glucocorticoids or immune globulin for acute cases and corticosteroids for chronic cases. For those who do not respond within 1 to 4 months, treatment may include high-dose corticosteroids, intravenous immune globulin (IVIG), immunosupression, immunoabsorption apheresis using staphylococcal protein-A columns to filter antibodies out of the bloodstream, AntiRhD therapy for those with specific blood types, splenectomy, or chemotherapeutic drugs such as vincristine or cyclophosphamide. Platelet count is monitored closely. The patient is observed for bleeding (petechiae, ecchymoses, epistaxis, oral mucous membrane or GI bleeding, hematuria, menorrhagia) and stools, urine, and vomitus are tested for occult blood. The amount of bleeding or size of ecchymoses is measured at least every 24 hr. Any complications of ITP are monitored. The patient is educated about the disorder, prescribed treatments, and importance of reporting bleeding (such as epistaxis, gingival, urinary tract, or uterine or rectal bleeding) and signs of internal bleeding (such as tarry stools or coffee-ground vomitus). The patient should avoid straining during defecation or coughing because both can lead to increased intracranial pressure, possibly causing cerebral hemorrhage. Stool softeners are provided as necessary to prevent tearing of the rectal mucosa and bleeding due to passage of constipated or hard stools. The purpose, procedure, and expected sensations of each diagnostic test are explained. The role of platelets and the way in which the results of platelet counts can help to identify symptoms of abnormal bleeding are also explained. The lower the platelet count falls, the more precautions the patient will need to take; in severe thrombocytopenia, even minor bumps or scrapes can result in bleeding. The nurse guards against bleeding by taking the following precautions to protect the patient from trauma: keeping the side rails of the bed raised and padded, promoting use of a soft toothbrush or sponge-stick (toothette) and an electric razor, and avoiding invasive procedures if possible. When venipuncture is unavoidable, pressure is exerted on the puncture site for at least 20 min or until the bleeding stops. During active bleeding, the patient maintains strict bedrest, with the head of the bed elevated to prevent gravity-related intracranial pressure increases, possibly leading to intracranial bleeding. All areas of petechiae and ecchymoses are protected from further injury. Rest periods are provided between activities if the patient tires easily. Both patient and family are encouraged to discuss their concerns about the disease and its treatment, and emotional support is provided and questions answered honestly. The nurse reassures the patient that areas of petechiae and ecchymoses will heal as the disease resolves. The patient should avoid taking aspirin in any form as well as any other drugs that impair coagulation, including nonsteroidal anti-inflammatory drugs. If the patient experiences frequent nosebleeds, the patient should use a humidifier at night and should moisten the nostrils twice a day with saline. The nurse teaches the patient to monitor the condition by examining the skin for petechiae and ecchymoses and demonstrates the correct method to test stools for occult blood. If the patient is receiving corticosteroid therapy, fluid and electrolyte balance is monitored and the patient is assessed for signs of infection, pathological fractures, and mood changes. If the patient is receiving blood or blood components, they are administered according to protocol; vital signs are monitored before, during, and after the transfusion, and the patient is observed closely for adverse reactions. If the patient is receiving immunosuppressants, the patient is monitored closely for signs of bone marrow depression, opportunistic infections, mucositis, GI tract ulceration, and severe diarrhea or vomiting. If the patient is scheduled for a splenectomy, the nurse determines the patient's understanding of the procedure, corrects misinformation, administers prescribed blood transfusions, explains postoperative care and expected activities and sensations, ensures that a signed informed consent has been obtained, and prepares the patient physically (according to institutional or surgeon's protocol) and emotionally for the surgery. Postoperatively, all general patient care concerns apply. Normally, platelets increase spontaneously after splenectomy, but the patient may need initial postoperative support with blood and component replacement and platelet concentrate. The patient with chronic ITP should wear or carry a medical identification device. An obsolete term for Henoch-Schönlein purpura. Purpura with joint pain, colic, bloody stools, and vomiting of blood. Purpura occurring in debilitated and aged people with ecchymoses and petechiae on the legs. Purpura that is not associated with systemic illness. The disease has occurred in patients taking certain drugs (e.g., ticlopidine); in some patients with cancer or HIV-1 infection; and in some pregnant women. Plasmapheresis or infusions of fresh frozen plasma are effective in treating the disease. A blister filled with blood; colloquially, a blood blister. In cancer care, the number of months after the disease is recognized or treated before the patient feels worse or experiences poor health. In addition the number of TTP cadres living in Karachi and other parts of Pakistan may now run into hundred of thousands. TTP - Pakistan's existential threat? NCSBN evaluated the ROI on a TTP program utilizing overall turnover rates from Phase I of NCSBN's TTP study (Spector et al. 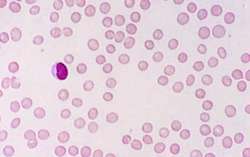 Peripheral blood smears were routinely prepared from all TTP patients and frequency of the schistocyte on the blood film was estimated as mild, moderate and severe at 1000X magnification. TTP was suspected because of the haemolytic anaemia, thrombocytopenia, schistocytes on the peripheral blood film and the neurological manifestations. Fazlullah's elevation to the top position in the TTP proved the final straw for Khan Said and his supporters. Nisar who is running the show concerning the TTP, is not willing to openly condemn them. Interior Minister Chaudhry Nisar Ali Khan had said that formal talks with the TTP would begin the moment the timing and venue for the dialogue was decided. We present a report of a child with congenital TTP that initially presented with a misdiagnosis of ITP. A large number of people, media and civil society groups demand a firm, decisive action against TTP. It was quite strange though that while Mehsud was making overtures of peace, his own TTP had launched terror attacks in different provinces of Pakistan and had again killed a number of innocent people. The Umar Media TTP page, which has more than 270 likes, appears to have been created in September and has just a handful of messages written in English. TELECOMWORLDWIRE-January 23, 2012-TTTech announces availability of a high-speed 20 Mbit/s TTP product line(C)1994-2012 M2 COMMUNICATIONS http://www.